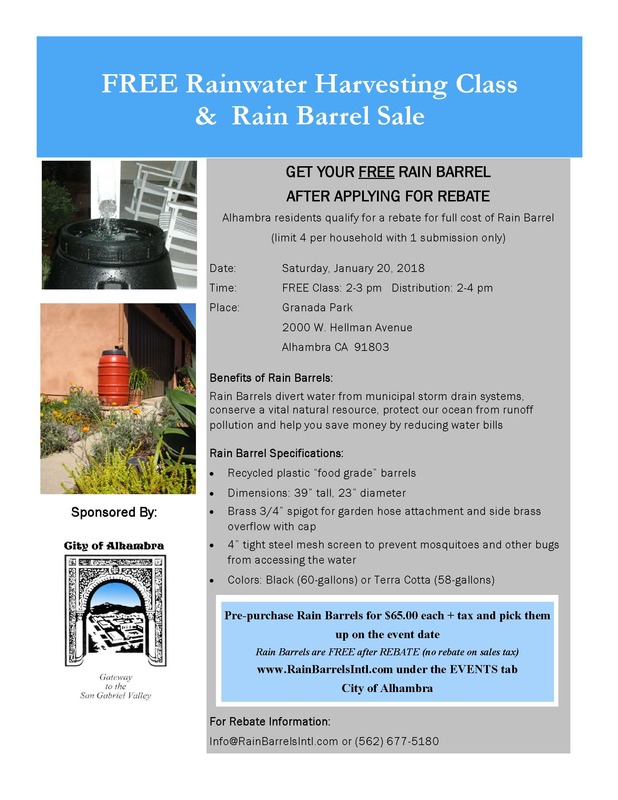 The City of Alhambra is teaming up with Rain Barrels Intl. to provide a FREE Rainwater Harvesting Class and Rain Barrel Truckload Sale on Saturday, January 20th. The rain barrels cost is $65.00 per barrel + tax and all residents qualify for a rebate of the full price, excluding tax. The class will cover water conservation techniques with the use of rain barrels, installation guidelines, and rebate information. 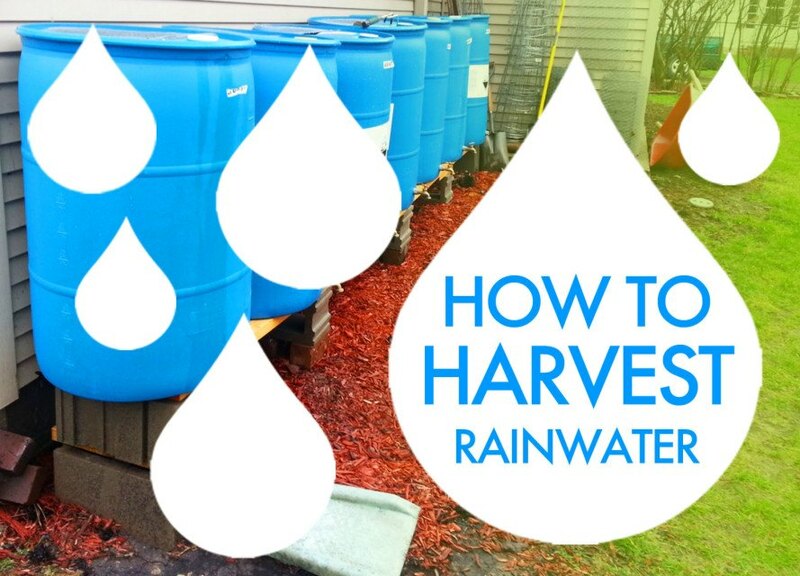 Rain barrels capture water from a roof and hold it for later use such as on lawns, gardens or indoor plants. Collecting roof runoff in rain barrels reduces the amount of water that flows from your property. It's a great way to conserve water and it's free water for use in your landscape. Sign up today by visiting the Rain Barrels Intl. website here!